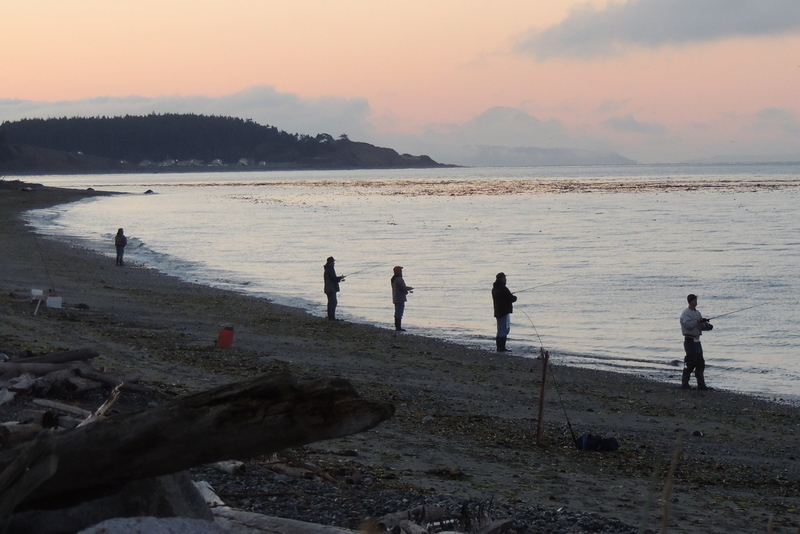 Saturday morning, my husband and I got up extra early to go “flippin'” off the beach for salmon. We were hoping to be the first folks on the beach. However, when we arrived at the beach, we realized that would not be the case for us. There were already a few folks on the beach fishing! 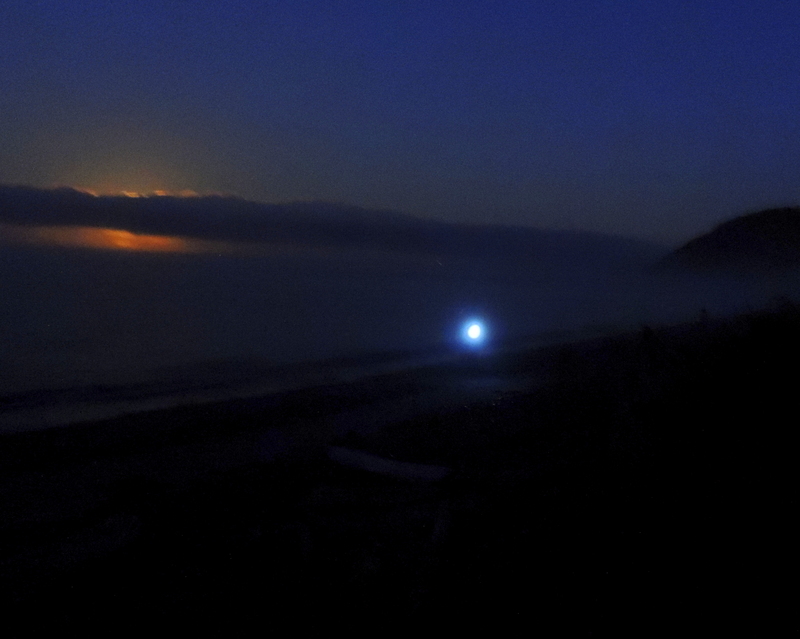 One guy even wore a head lamp so he could see what he was doing! 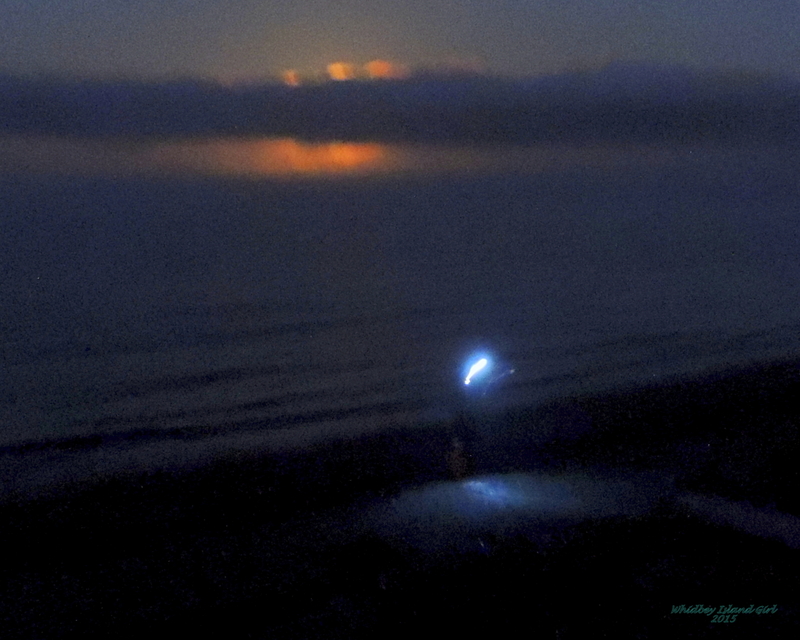 The nearly full moon was setting as we donned our boots, grabbed our poles and tackle bag, so I took the opportunity to capture some images of the moon and the fishermen on the beach! 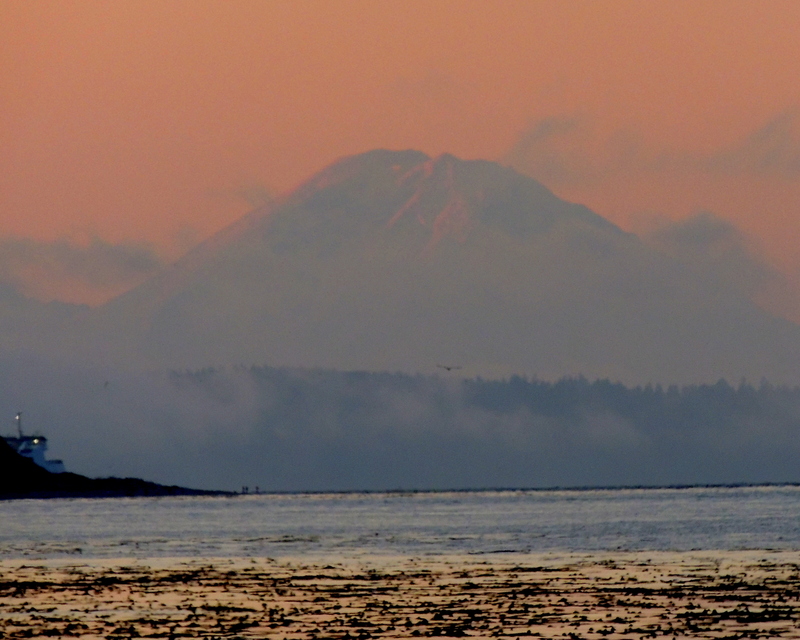 Later, I noticed Mount Rainier proudly posed over Puget Sound as I looked south. More images to take! 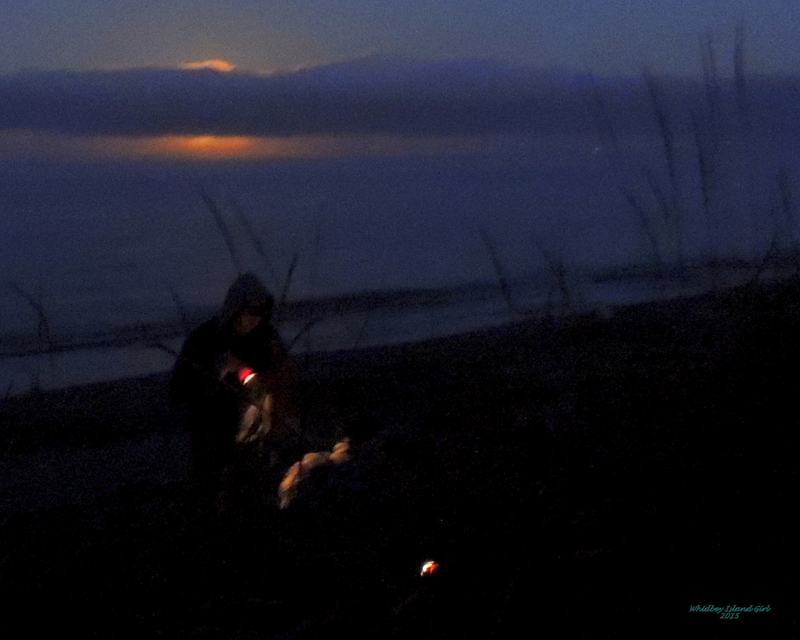 These are those images from Saturday’s fishing adventure….. The waxing gibbous moon begins setting….. 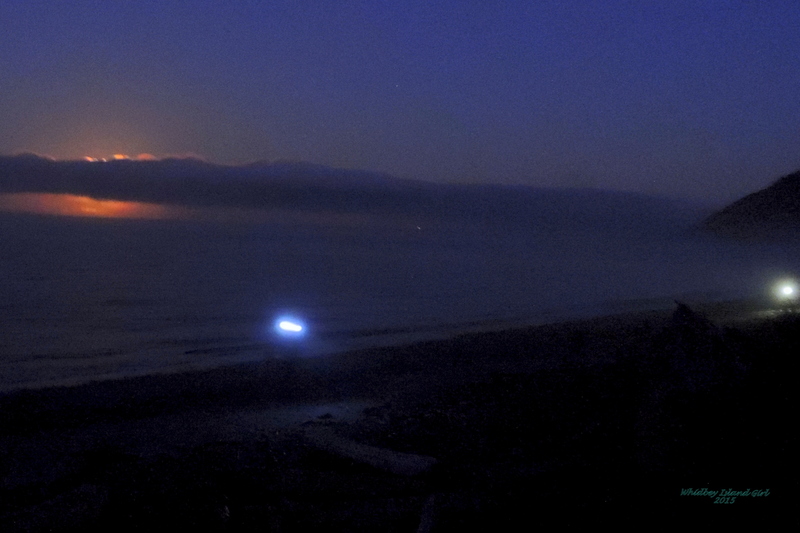 The moon hides behind a band of clouds, giving it a dramatic look. 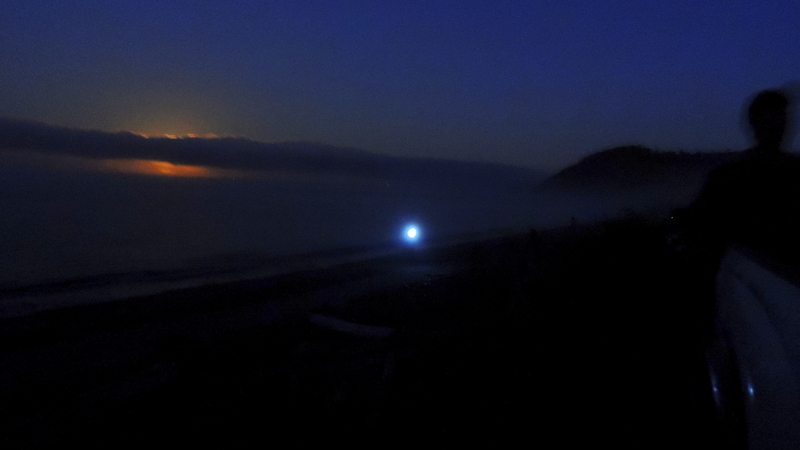 That bright light is a fisherman with a head lamp on. 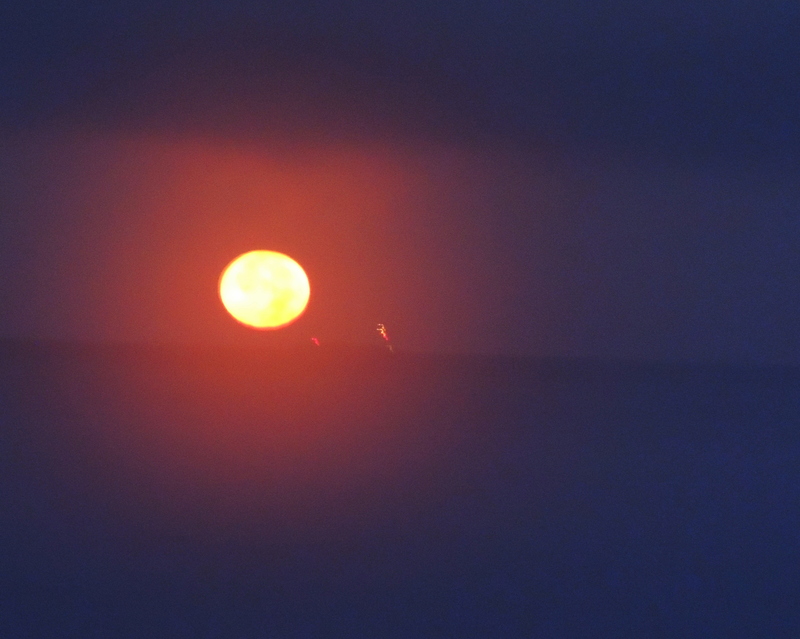 It isn’t easy to see clearly but those are fishermen fishing! 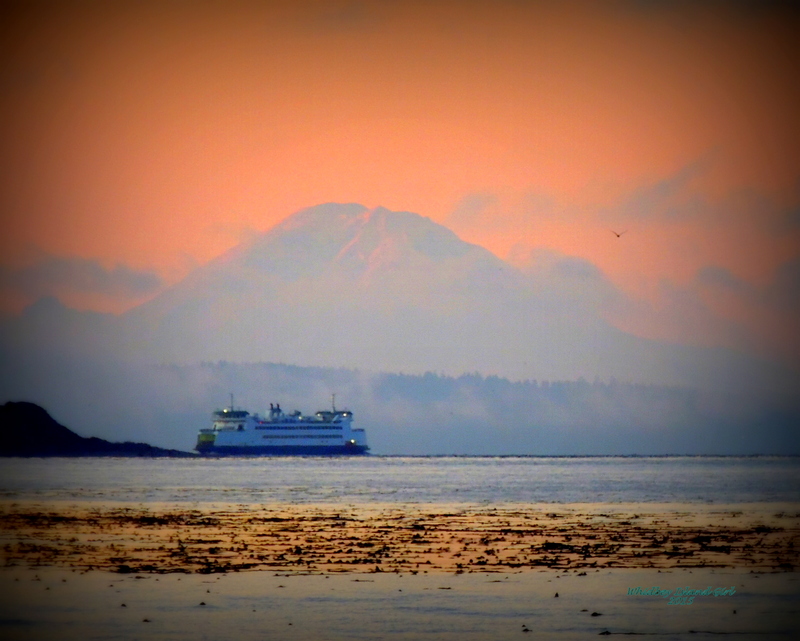 To the very right side, another fisherman is using the flashlight feature on his cell phone to see…..
Mount Rainier, standing proud, posed over the Puget Sound as the Keystone/Port Townsend ferry approaches the Keystone dock. As the sun climbs higher in the morning sky, The Big Guy – as Mount Raineir is often referred to as – fades back into the background. Flippin’ for salmon off the beach. Tight lines!!!! No fish on, yet!